5 years ago, I dropped "Black Zodiac". A mix of 70's slow burning soul bangers I was all about. Joints that stood on its own for fans who liked their music to bang hard. 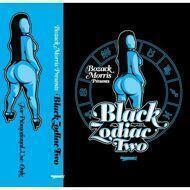 Now I present the new installment, "Black Zodiac Two". Ain't nothin sweet about this soul right here.